The Fellowship was fortunate enough to obtain a copy of ARCHIE #6 from Archie Comics. The story is by Mark Waid, with art by Veronica Fish, colors by Andre Szymanowicz with Jen Vaughn, and letters by Jack Morelli. Archie is still sore at Jughead and Betty for messing with his love life. What will it take for our friends to get over this and for things to get back to normal? Meanwhile, Reggie will go to any lengths to sabotage Archie’s and Veronica’s budding romance. He’ll do it by any means…including getting in the good graces of Veronica’s dad, Hiram. Mark Waid has done an excellent job of reinventing the kids of Riverdale. It’s more of a drama (which some humor) than the previous version which should bring in more readers. However he stays true to the characters which should keep the fans. With this issue, artist Veronica Fish joins the creative team. Her style fits in extremely well for the vibe of this book. Hope she is here for a long while. Check this book out! 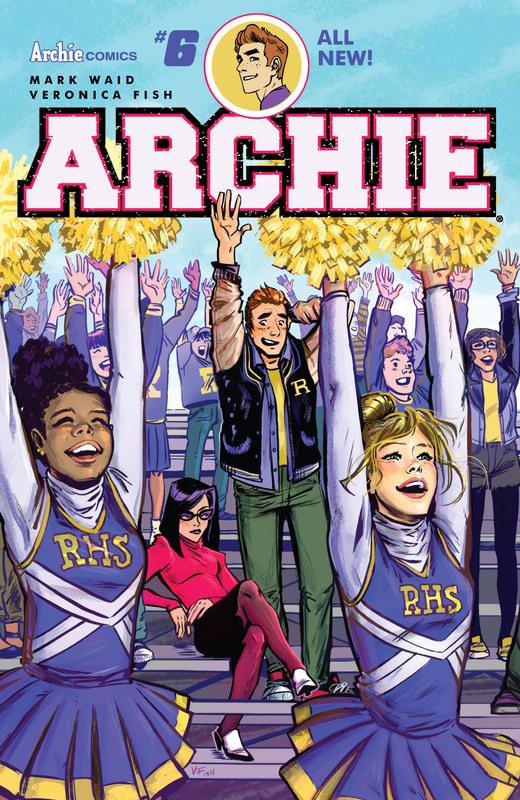 ARCHIE #6 is in stores now, or available for ordering at archiecomics.com.